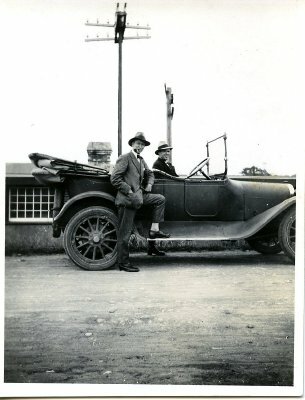 Description Mr. Edmonds standing beside car with driver at Patea train station. 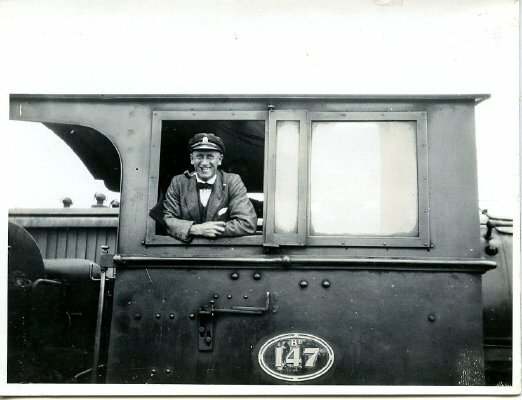 Inscribed on back of photograph: "The car we drove from Waverly to Patea in. Taken on arrival at Patea. Edmonds and the driver. 14/1/22"